Carpets shouldn’t just be cleaned when they get stained. Frequent carpet cleaning can keep your home healthier and free from allergens or debris that could affect the health of your family or employees. That’s why Spring Clean Carpets offers Utah and Salt Lake County residents competitive pricing on our residential carpet cleaning. It’s also why we use the best of the best in carpet cleaning equipment, for a better overall clean like you’ve never seen. To do so, Spring Clean Carpets exclusively uses the Rotovac 360 for deep carpet cleaning. Other carpet cleaning companies use a cleaning wand that, while time-effective, only cleans your carpets in two directions. Like the name implies, the Rotovac 360 cleans carpets in all directions, removing more dirt, dust, and other debris. ​We also use natural rinses and carpet cleaning solutions that neutralize chemicals and leave your carpets softer. 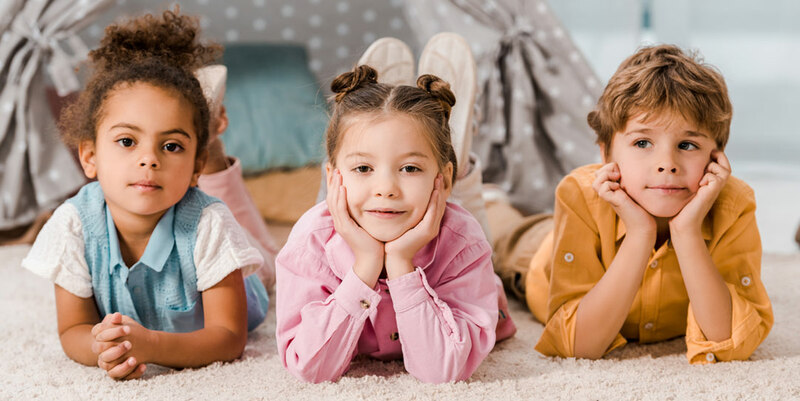 In homes with children or pets, cleaning carpets without those harmful chemicals can be extremely important for their health. But these rinses also provide a noticeably better clean you’ll want to sink your feet into. With an acute attention to detail (even vacuuming around walls, unlike other carpet cleaners), we ensure that your carpets are completely cleaned. Carpet is the largest filter in your home blocking dust particles, pet dander, and other allergens from entering your lungs, that is if it’s cleaned often. Experts recommend deep carpet cleaning every 6-12 months. We know you have many choices when it comes to carpet cleaning companies. However, we also know just how well our equipment and solutions work. Our company was founded on the goal of providing our customers with a better, deeper clean than other carpet cleaning companies were providing. We’re proud to say that we’ve found a way to achieve that goal. Now it’s time to share those cleaner carpets with you. Our trained, knowledgeable, and experienced staff will respond and arrive promptly to your home. We are proud of the high standard of customer service we’ve set for ourselves, in communicating with our customers and our carpet cleaning results. Give us a call or book your carpet cleaning services online! In case of a flooding emergency, Spring Clean Carpets is available as well to provide same-day carpet restoration services. We understand how unexpectantly flooding can occur. We also understand just how important it is to address and resolve the issue quickly so carpet is not permanently damaged or needing to be replaced altogether. Call Spring Clean Carpets if your home experiences flooding. We’ll respond promptly to remove water and air out carpets and furniture, treating the affected area and belongings thoroughly to mitigate any mold growth and restore carpet to its original state. Get in touch with us today for carpet restoration services from trained experts near you in Saratoga Springs, Lehi and other Utah County or Salt Lake County locations!